100+ pounds of love, Rocko wants to give to you! 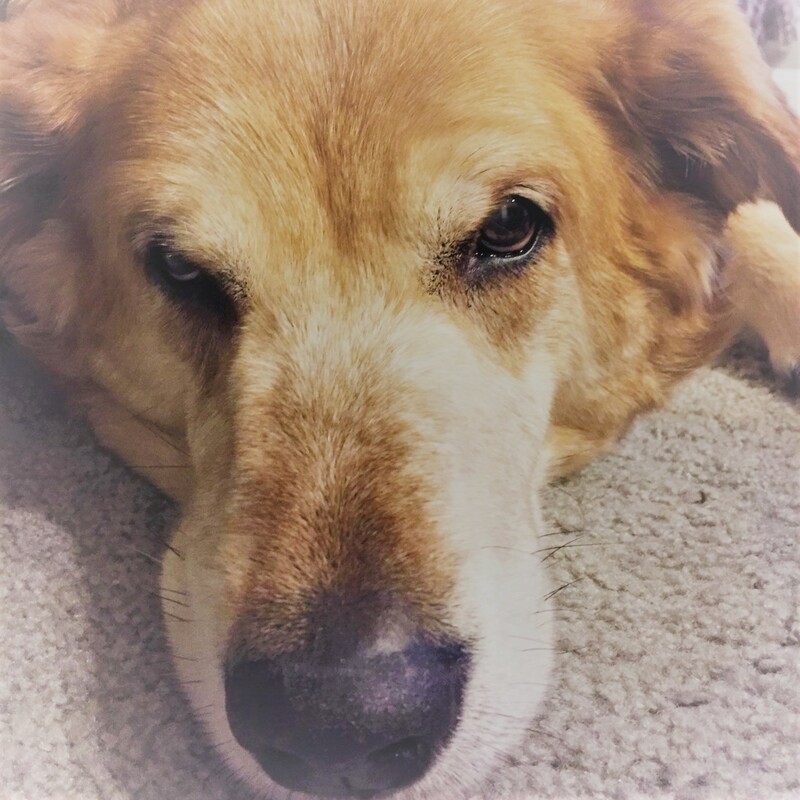 Rocko, a senior German Shepard, Golden Retriever Mix, is a big love bug, just waiting for a family of his own to share all 100+ lbs of his love with. Could you be the family Rocko is looking for? 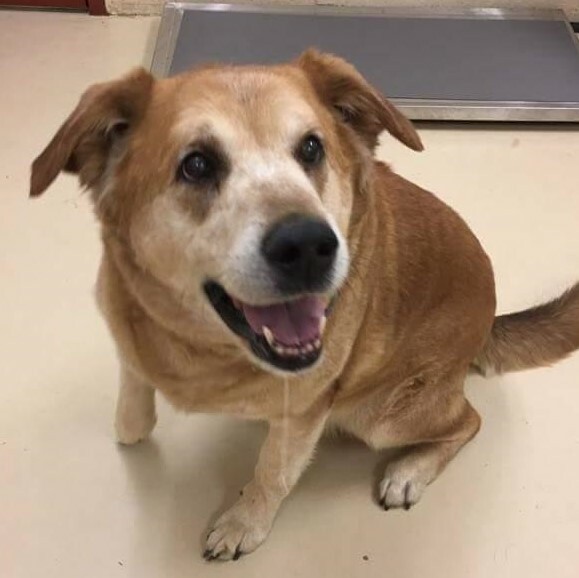 Rocko may be an older gentleman, who’s eyes are starting to fail him and who is a bit overweight, but he doesn’t let that stop him from doing all of the everyday dog things that he wants to do. Although, a home with many stairs may be a problem for him, so that he doesn’t get hurt. His excellent hearing makes up for his failing vision. Sweet Rocko already knows his basic commands, and is house trained. He’s also great with kids. His foster home has a small child that he loves, and plays with often. But he’s not so fond of other dogs, and would do better as the only dog in the home. As with most older dogs, Rocko’s favorite thing is to nap, and sometimes he snores loudly. He also loves to go for walks, which helps with his weight loss program too. Just being outside in general is a good thing to Rocko, so a fenced in yard would be a plus. Rocko is already neutered, up to date on his vaccinations and ready to go home with his forever family. And there are tons of reasons to adopt senior dogs. Such as 10 Reasons to Adopt Older Dogs. We here at The Foster Pack have a soft spot for senior shelter dogs. Old dogs are great! Senior dogs (10 years +) make up over half of our pack.. They are such sweet souls! And tons of senior dogs spending their golden years in shelters all of the time. We want to help get them out. 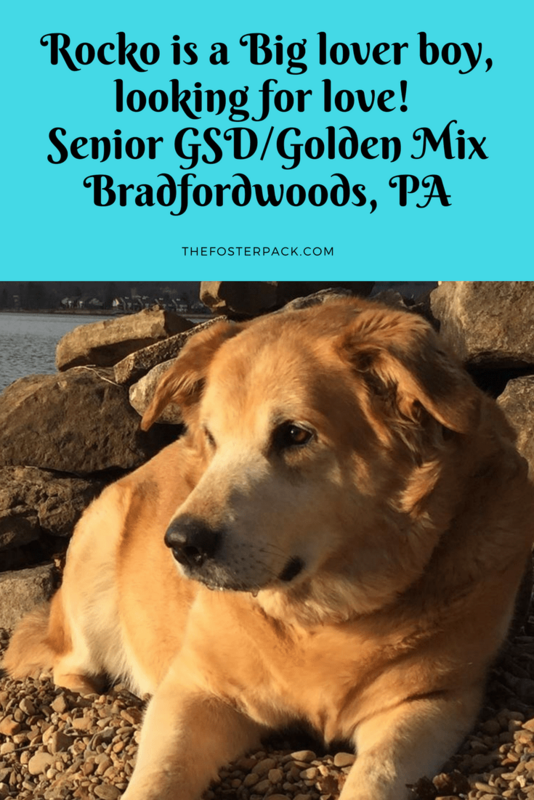 So we’re going to feature a new senior shelter dog every week. And we try to find the ones who have been waiting for their forever families for the longest.